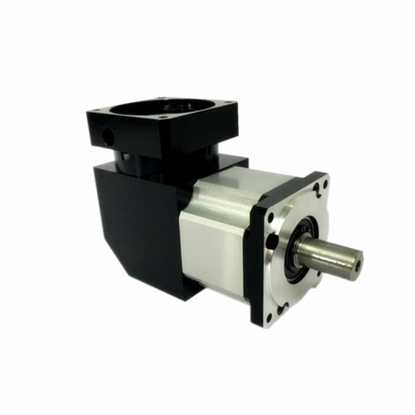 Planetary speed reducer gearboxes, inline, are available in variety of gear ratios ranging from 3:1 to 200:1 with frame sizes of 65mm, 85mm, 118mm, and 150mm. 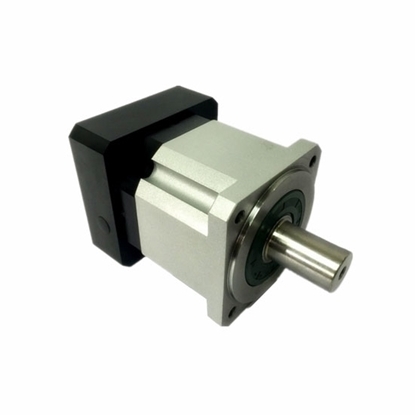 High precision, large output torque, compact structure, easy mounting and suitable for AC/DC servo motors, stepper motors, hydraulic motors. Right-angle planetary speed reducer or gearbox has various gear ratios which can be chosen from 3:1 to 200:1, available for the frame size of 65mm, 85mm, 118mm and 150mm with the nominal input speed 4500rpm, 4000rpm and 3000rpm respectively. High efficiency, low backlash, and fit for all kinds of motors.